Have you seen us on the move? OUR GLOBE SPOTTING CONTEST IS BACK! If you spot the GlobeRoamer (as pictured above!) 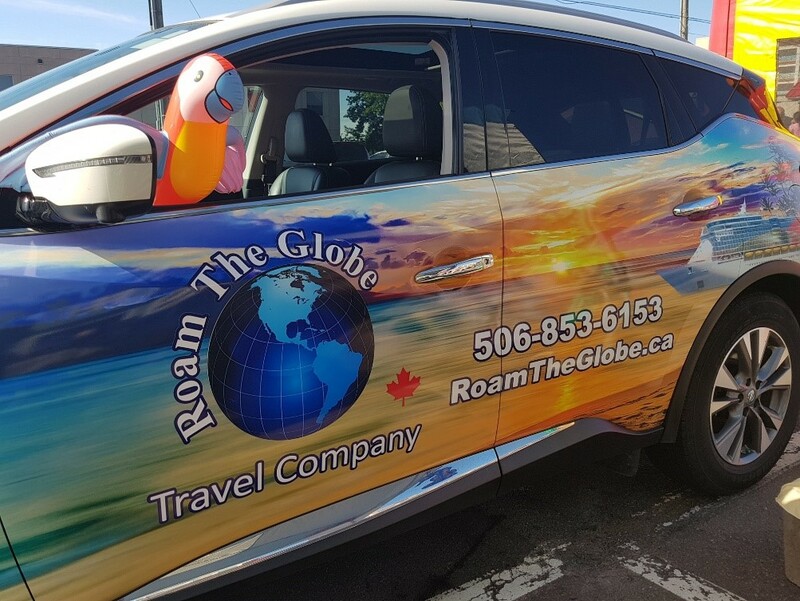 out and about, simply pop us an email to tell us when and where we were spotted for your chance at winning our monthly prize pack! Don’t live in the Greater Moncton area? That’s quite alright! We have been spotted near and far – even as far as Ontario! There is only one exception: our driveway doesn’t count…but yours does! Be sure to keep an eye out for us…and good luck!